I taught at San Lorenzo Middle School in King City, California for thirty-six years before retiring in June of 2006. I still substitute often in local schools. 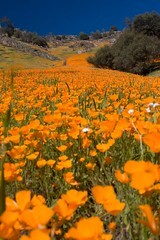 Phyllis, my wife of 47 years, and I still reside in King City. We have two great sons, Jeremy and Jon. I am a life-long rock-climber and mountaineer. 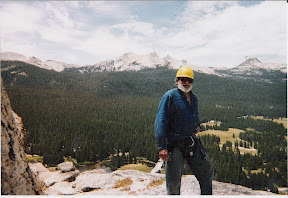 I’ve made numerous ascents in the Sierra Nevada and Yosemite. Much of my writing reflects my time in the mountains. Most notably, three of my short stories about climbing were published in the Sierra Club’s Ascent. Other stories and poems have appeared in “High” magazine, “Loose Scree” and in “The Climbing Art”. I converted a story named “Three’s a Crowd” into a radio play and it was broadcast on KUSF on November 22nd, 2006. It was later broadcast several more times on PBS. My short story “Don Francisco Rides to La Paz” won the 2008 Saturday Writers short story contest. My “Dogwood Dream” won the 2011 New Millennium short fiction competition and most recently “Do You Feel Lucky, Punk?” won the 2018 CCW Bartleby Snopes dialog only contest. My Civil War historical novel Dawn Drums was published in 2013. It won both the 2014 New Mexico Book Awards’ Tony Hillerman Prize for best fiction and first place in the 2014 Arizona Authors competition I’ve had four children’s books published prior to Dawn Drums. They are Chaos Gate, Joel in Tananar, Flower Tumbles, and The Dragon and the Lemon Tree. 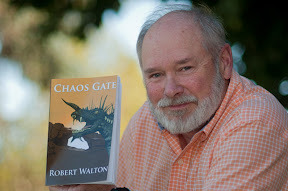 How do I see your web page and the lesson plans that go with Chaos Gate? Janice, note the menu bar at the top of the page. Click on Chaos Gate resources and the various activities should show up. I’ve finished through chapter eight, though John is still getting them up. Hi cousin! It is very nice to know that you also remember Mr. Walton! He was a great teacher! I was in your class in 1989, long time ago, I know. I remember very well when you came to my house after I had missed school for about 1 week because I was ill and during that time you’re book, “The Dragon and the Lemon Tree” came out.You game me an signed copy. I never forgot that day and remember you as a very caring person and excellent teacher! Thank You! I will soon look for the other books you have written so that I can also read them and introduce them to my children. Ah, what a handsome and dashing photo of “Mr. Walton.” This site superbly condenses a remarkable individual with a real zest for life. I remember your trombone playing in the community theater and funny roles in various plays…don’t forget to add those to your repetoire! So delightful to see your two sons (suns) in two of life’s most rewarding expressions…religion and wine! I still own a signed copy of Joel in Tananar. I fondly remember the day you came to our school and participated in our assembly. Now in my middle 30’s, I cannot wait to pass Joel and his adventures on to my own children. Thank you for your literary contribution to the kid in me and to the kid in us all. Erin, your gracious comment takes me back a few years. I still enjoy visiting with students and talking about my writing, but I do so much closer to home. I did visit a classroom in Alabama last week, however, through the magic of skype. I think the visit went well, though it was less spontaneous than a real life visit. Thanks for taking the time to reminisce and comment! Mr. Walton taught me at San Lorenzo middle school. He autographed “The Dragon & The Lemon Tree” as a gift to me. I am probably murdering my punctuation and such, but I am just so glad to see something on Mr. Walton. In 2008, my a box marked “treasures” my book amongst other things was stolen during a move. I miss that book, and it’s inscription. Jon, thanks for your comment here and for your excellent work on “Joel in Tananar”! It’s a good story, one of which I’m still proud, but your illustrations turned it into a great book. I still hear from young people who encounter your art for the first time. You continue to inspire young imaginations!